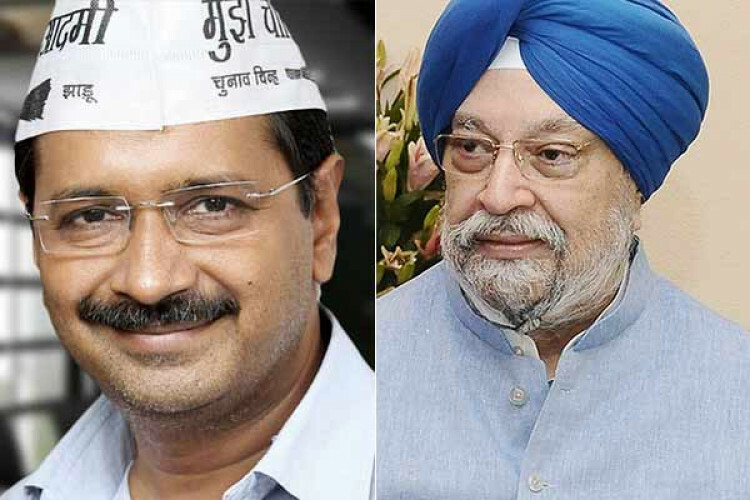 Delhi CM Arvind Kejriwal & Union Minister Hardeep Singh Puri were in a battle on Wednesday on Twitter over the sealing of shop in the capital. Singh shared a pamphlet distributed by AAP which states central govt & municipal corporations are sealing shops in Delhi to destroy families and called it a lie and that the order was given by SC. To this Kejriwal said when people approached them why they didn't do anything.